Motorists are urged to use caution near stopping school buses this year. You’re being watched and failing to stop when school buses are stopped could come with a steep price. New programs are being tested in Seekonk, Quincy and Medford that equips local school buses with cameras that aim to catch motorists disregarding children safety, according to boston.com. 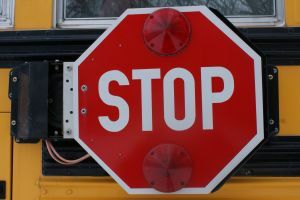 The Mayor of Medford, Michael McGlynn says that he’s known that some drivers ignore the flashing lights and the stop signs on local school buses, but he never knew how common the problem actually was. Cameras have been installed on 18 buses in his city so far. One of the buses caught more than 100 violations in just 105 days of film. Motorist’s total lack of consideration for these young students increases the risk of an accident leading to severe child injury in Medford and elsewhere in Massachusetts. Our Boston school bus accident attorneys understand the risks our students face on the school bus each year. Approximately 25 million students across the country ride the big yellow bus to and from school every year. Each school year we see a number of injuries and deaths of students from careless motorists. Drivers are asked to be cautious near buses on our roadways and near stopped buses that may be picking up or dropping off students. This is the first entry of a three-part blog that will be focusing on our young students and their venture to school whether it is on the bus, by foot or on a bicycle. With the help of residents around the state, we can all help to reduce the risks of these preventable accidents. According to the National Highway Traffic Safety Administration, there were nearly 150 people killed in school bus-related accidents around the country in 2005. There were another 11,000 people injured in these incidents. The cameras that local officials are experimenting with on local buses are mounted on the bus’ extended stop-sign arm. They are aimed in directions that can catch a passing vehicle’s license plate information. Once a driver is caught by the cameras, the footage is then passed on to local officers who will review it to confirm that a moving violation did in fact occur. If the measure is passed on Beacon Hill and this becomes law, then the driver would receive a citation in the mail. McGlynn believes that if that proposal becomes law, the revenue generated from these citations would be more than enough to help pay officers whose main focus would be to comb through the bus footage in search of violators. -According to Massachusetts state law, motorists are required to stay at least 100 feet behind a school bus at all times. -Drive slowly, especially during school bus pick-up and drop-off hours. This is very important in areas that don’t have sidewalks. -Keep an eye out for children playing around their bus stop. -Remember that yellow flashing lights on a school bus means that it’s slowing down and is preparing to stop. -Red flashing lights and the extended stop-sign arm means that the bus is stopped and is letting children on or off. -Don’t start driving again until the stop-sign arm has folded back up into the bus and the bus begins moving once again. If you or your child has been in an accident in the Boston area, contact Massachusetts Car Accident Attorney Jeffrey S. Glassman for a free and confidential appointment to discuss your rights. Call 1-877-617-5333.